Not only is this feature easy to set up and even easier to use, but any item in your store can potentially be added — you decide! Gift registries appeal to a variety of customers and are appropriate for a range of occasions. 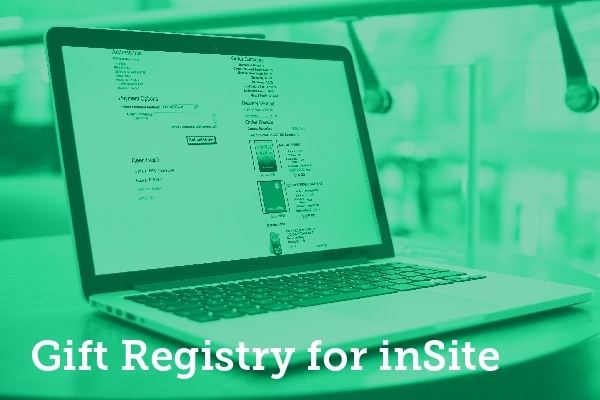 Integration within your inSite store and administrative menus means that your store's registries will automatically update as items are purchased, making the process simple for both staff members and customers.